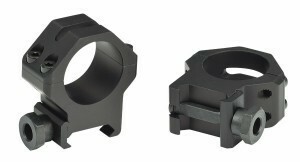 Picking a rifle scope ring and base can be difficult. 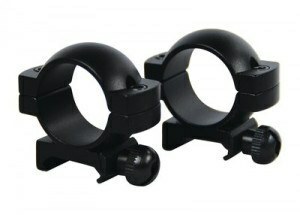 There are three basic types of systems: the Weaver style, the Redfield type, and the Leupold Quick Detachable system. Each has their advantages and their place in the line of users. The first thing to consider when picking a rifle scope ring and base system is how experienced you are. If you are simply a beginner, or have no need for a fancy system, the Weaver style is the best for you. There is a bolt in the ring that sits in the corresponding channel on the base. This allows the ring to lock into place and it keeps the ring from sliding back and forth since it is a good, tight fit. The second thing to consider is the type of gun you're using. A standard system - like the Redfield - will suit many needs very well. There is a dovetail piece on the ring of the Redfield system. This piece sits in a corresponding recess on the base. Windage screws are placed on the rear base of this system. These allow windage corrections to be made via the screws instead of having to use the scope to make adjustments. This type of system is the most common type of system and many manufacturers have a version of it - from Redfield to Burris to Millett and all in between. The final thing to consider is if you're going to be using a dangerous game gun. If this is the case, it would be worth giving some serious consideration to the Leupold Quick Detachable system. The ring has a post that then nestles into the base via a corresponding recess. It is then locked in place via a lever. The lever allows the system to be quickly detached from the gun to allow the scope to be used when it is needed - and only when it is needed. 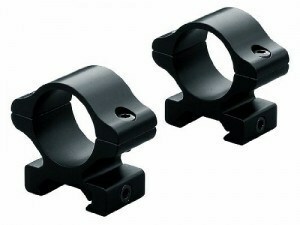 It will keep the longer shots from being a hassle to you, and keeps the ring and base system in a convenient position. Of course, there are other things to keep in mind when picking a ring and base system. What kind of scope you have is another thing to keep in mind - this will influence the size of the ring and base system you need to have. The type of gun is another - but that only goes as far as whether or not to consider the quick detachable system for your everyday kit. Otherwise, there's a chance it could get knocked loose if the lever is hit while adjusting it. In all, choosing a ring and base system can be kind of complicated if you don't know what to consider or look for in a good system.